RAFFLE TICKETS ARE $5 each or 5 for $20. SUPER RAFFLE TICKETS ARE $20 each or 3 for $50. Raffle prizes will be revealed in the upcoming days. Stay tuned! Shown here: three t-shirts and several license plate frames. Add these to the raffle. 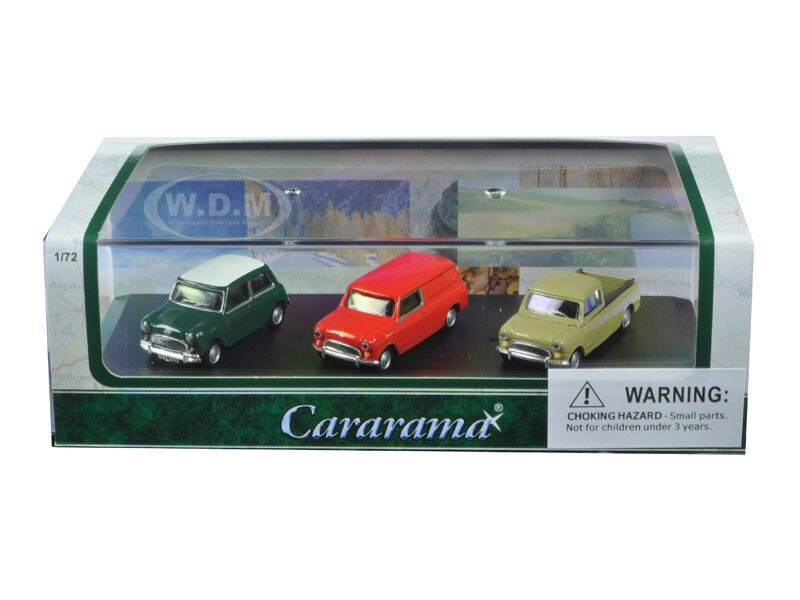 Two gift box 1:72 diecast Mini sets. Just bought them to donate for the raffle. I want the billy club!! 1974/1993 Classic Mini - 70 WHP! Add these to the raffle prizes. Picked up a wholesale of 2 different 1967 Austin Mini Traveler Vans from Hot Wheels. I may have more. Sally has donated a shirt, a coffee cup sleeve and a decal. Thanks to Samer and Baron MINI, we have more terrific raffle prizes! Thanks to Samer and Baron MINI, we have THREE Super Raffle Prizes this year! Tickets for Super Raffle Items are $20 each or 3/$50. Proceeds go to KC Pet Project and Harvesters.